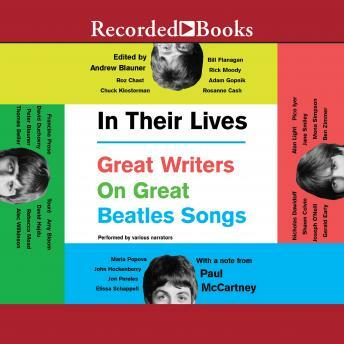 For readers who loved Tune In, an anthology of essays from thirty luminaries about their favorite Beatles songs. Blauner anthologizes essays from 30 authors, actors, and musicians reflecting on their favorite Beatles songs, creating a monument to the enduring impact of the most popular band of all time. The diversity of favorite tracks and the variety of reasons contributors love them speak to the range of the Beatles' song catalog and the power their music still has more than fifty years after they arrived in the United States. The essays explore life at its many stages, from optimistic youth to spiritual awakening to mid-life crises, and how the Beatles' music can be a lifelong soundtrack. Whether readers remember the Beatles' music as a solace in times of trouble or as a celebration, in their lives, they've loved them all.